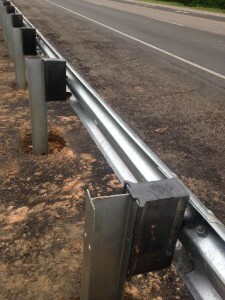 I was driving down Texas Highway 59 this week and came up on a new guardrail system being installed. 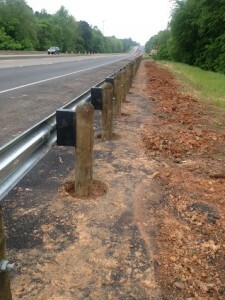 I drove a little further into the next county and came up another guardrail system. Each wooden post removes 26 lbs of green house gases from our environment. Each steal post adds 34 lbs of green house gases to our environment. The State of Texas uses over 300,000 of these posts each year. We can add 10,200,000 lbs of green house gases each year to our atmosphere—– SIMPLE!